Offended by the Word "Redskins"
1 — In and of themselves WORDS do not mean; instead, people BRING MEANING to the sounds and symbols we call WORDS. Anyone who wants to BRING OFFENSE to any WORD or ACT or EVENT, can BRING a pejorative MEANING according to a personal interpretation or political agenda, or both. 2 — A single WORD can have multiple meanings; open any dictionary and this fact is confirmed. 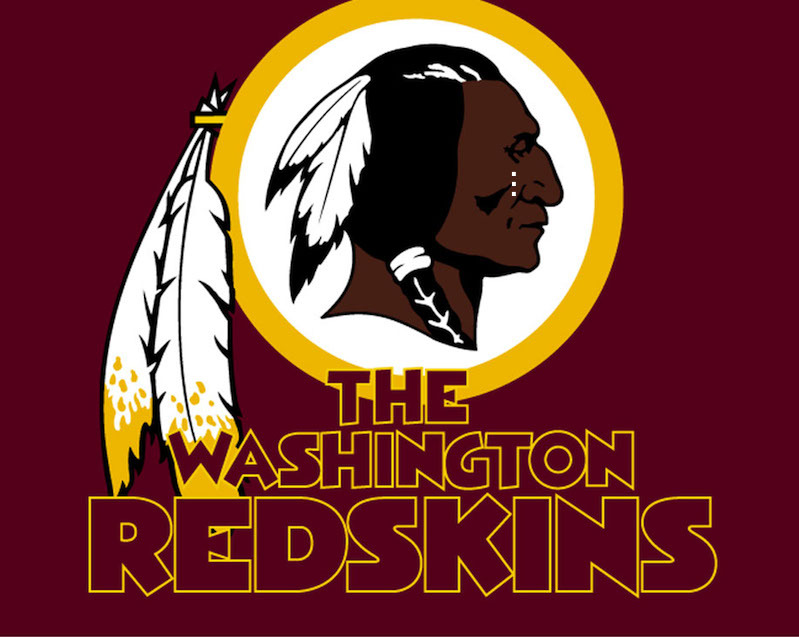 Can the word "Redskins" be spoken or written as a SLUR? Yes, of course! But when PC People speak of "THE" meaning of the word "Redskins," as if there is only ONE meaning — they ignore HOW WORDS WORK! 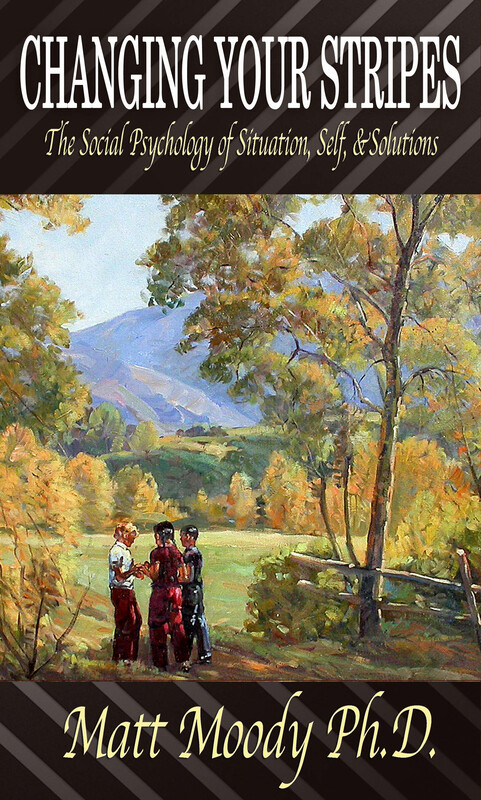 SLURS occur when a Speaker or Writer of Words INTENDS to denigrate and demean; therefore, those who INTEND to SLUR should be held responsible for SLURRING. It's that simple! 1) Exactly WHO is referring to "the scalps of my ancestors," when using the word "Redskins"? Is this person dead or alive? Instead of making a theoretical argument, just identify the person who is using the word "Redskins" as a slur, and if possible, take legal action against that person for Hate Speech. 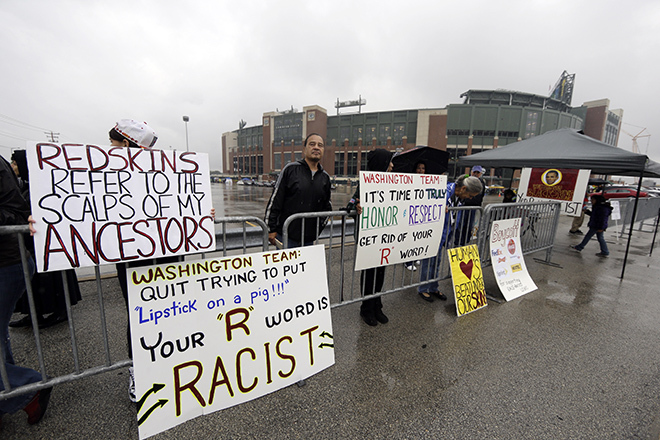 2) Exactly WHO is explicitly using the word "Redskins" as a "Racist" term? Is this person dead or alive? Again, instead of making a general theoretical argument, simply note the name (or names) of the people expressing "Racism" through the word "Redskins," and put them to public shame by broadcasting their racial hatred — or take them to court if a law has been broken. But here's the bottom-line for words that supposedly "slur." There are thousands of words in the English language that can be used with derogatory intent. Offensiveness is determined on those specific occasions where a particular person INTENDS to SLUR. And the words that are used to SLUR, are almost irrelevant, because it is the INTENT in the heart of the SLURER that determines whether a SLUR has been committed. Now, it is true that through continuous use over time, certain words come to be known as "slur" words. Nevertheless, these same words can be used within other contexts without any "slur" meaning. Therefore INTENT is the single most important factor that determines a SLUR. Now the Politically Correct Police are trying to blame the owner of an NFL team and broadcast shame upon him for calling his team "Redskins." But here's the problem: The owner of the NFL team never uses the term "Redskins" in a denigrating or demeaning way — but always in a positive way. SLURS always occur within a specific CONTEXT, where a particular person INTENDS to SLUR and delivers that SLUR with a degrading TONE -- the word "Redskins," by itself, does not carry an automatic "slur" meaning, until some person intends to express a slur. When a person speaks the word "Redskins," and does not have Racist Intent to SLUR, then, there is no SLUR — that's how words work according to TONE, INTENT, and CONTEXT. So within the CONTEXT of a professional football team in Washington D.C., the word "Redskins" is INTENDED as positive, and not pejorative. When Washington Redskins Fan's sing "Hail to the Redskins," the INTENT of that song is positive; therefore, the meaning of the word is positive within that context. "That's SICK" — meaning, something is grotesquely awful. "That's SICK" — meaning, something is beyond amazing and wondrous. "That's INSANE" — meaning, something is terribly twisted and crazy. "That's INSANE" — meaning, something is beyond jaw-droppingly awesome.